For me a cigar more than just some tubular shaped bundle of tobacco. 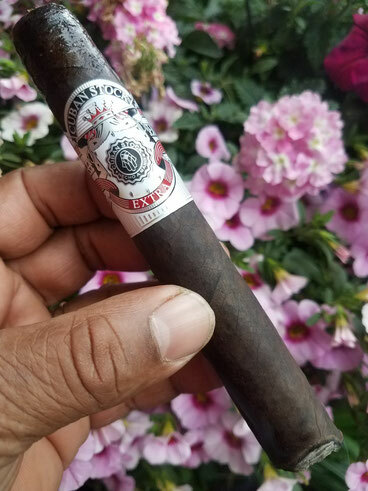 A cigar is more like a silent friend, an unconditional partner asking no questions or favors, never begging for money, and never requiring me to lie. Cigars are a means of relaxation; a vessel transporting me to a better place of tranquility and peace. Cigars abridge friendships, facilitate new acquaintances, and experiencing new places. It's a tool to assist in gathering my thoughts, contemplating the future, and reflecting on the day. For many brothers/sisters of the leaf the smoking experience is considered to be the art of relaxation experienced in many forms. One of those forms is a poker game, watching a sporting event, or possibly reading this very post. A cigar does not require that you celebrate its quality, taste, and flavor in any specific way. It only asks to be appreciated, to be respected, to be smoked by a worthy gentleman or lady. Cigars for me are a way to slow down the world; a sort of buffer allowing the brain to slow down its sensory perception. Provided that it is smoked in the proper environment cigars are like a silent room where the only thing that requires any focus is where is my lighter, where is my cutter, and where is the ashtray. And where is my glass of wine, rum, brandy, single malt, or bourbon.